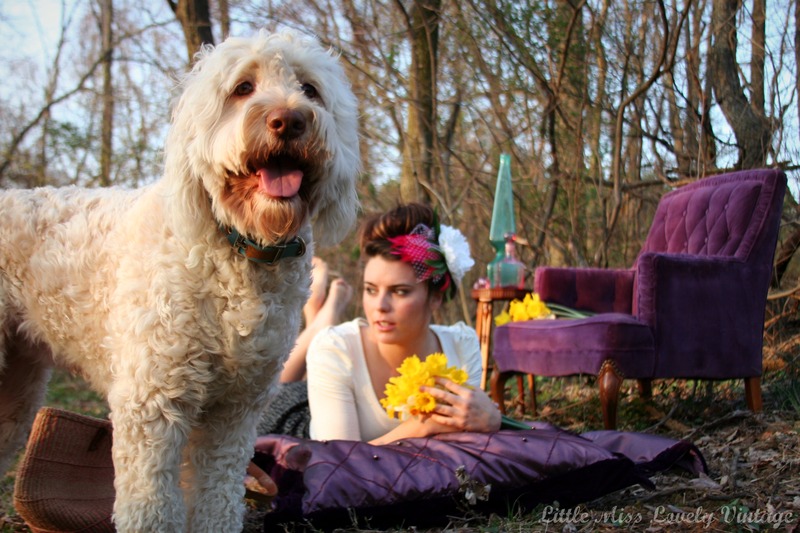 Sometimes, this Labradoodle pal of mine just steals the spotlight. My beautiful sister, Nikki, was gracious enough to model some of my hand-made hair pieces this afternoon. Lots of stunning shots to share with you soon! For now, just wanted to make you laugh at this sandy-colored photo hog. Enjoy a beautiful Sunday evening!